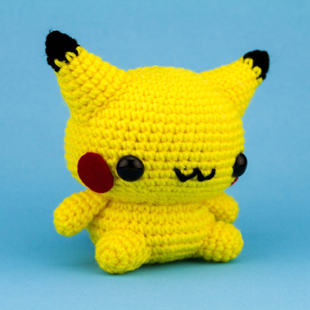 The artist Cielo Pinawin is crafter who chrochets fuzzy character dolls, and she sells them on line as CrochetGiftsbyCielo. She specializes in Pokemon characters, but lately she’s branched out into other anime critters and even the Ninja Turtles. All of her creations are hand-made and customized when you order them. Visit her Etsy Store to see what she’s done so far. 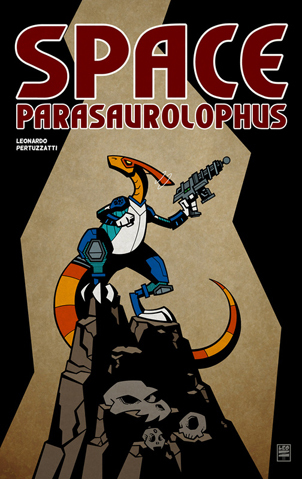 And the winner for the longest comic book title we’ve found recently goes to… Space Parasaurolophus, a full-color science fiction comic written, illustrated, and self-published by Leonardo Pertuzzatti. That very hadrasaur was captured by an alien race called the Lev’rram and given both sentience and an arsenal of fancy gadgets. All of which our hero uses to try and defend the Earth from the Werthams: A much more evil alien race, who wiped out the dinosaurs and now have their eyes set on humanity. Visit the creator’s web site to find out more. 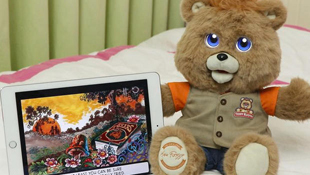 Thanks to Changa Lion over at Furry.Today, we discovered the return of Teddy Ruxpin, the animatronic talking-bear story-telling sensation from the 1980’s. [See what we mean?] This latest version [distributed by Wicked Cool Toys] features a newly-designed Teddy with LCD animated eyes, plus Bluetooth connecting the bear to interactive read-along stories for laptops and other devices. Check out the newest advertisement on YouTube to see what all the fuss is about. 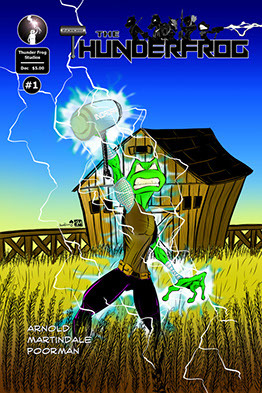 Another recent black & white discovery is the first issue of The Thunder Frog, from the folks at (wait for it) Thunder Frog Studios. More specifically that would be writer Woody Arnold and illustrator Tayson Martindale. “Theo had his life all planned out. Everything made sense. He would grow up, get married, raise a family, inherit the family farm and grow old watching his grandchildren enjoy a good life. And then he found the most powerful weapon in history… A peaceful day in the country is shattered when a battle erupts in the back-fields of a farm. What happens next will change the world forever.” Of course you can read all about it at the Thunder Frog Comics web site. Interesting discovery from the Long Beach Comic Expo: Doc Yeti Fuk’son — Yeti Detective. Yes that’s the title! It’s a black & white on-line comic that’s now available as a traditional comic too. “Doc Yeti Fuk’son, yeti detective, has the goddamn world at his feet. 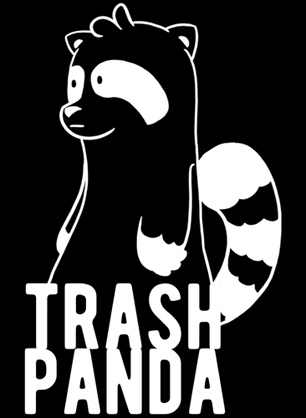 He’s taking down punks, cleaning up the streets, and making killer puns. The only thing hotter than his career is his wife. Or… it was. Two years later, Doc lives alone, punlessly powering through MacGyver, tapioca, and brown liquor. But his sister JD Yeti Fuk’son is on the case! 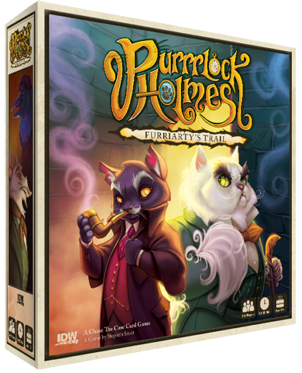 She brings him a murder both gruesome and topical to drag Doc back into action. 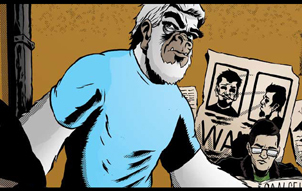 Something for him to take… personally.” Doc Yeti is written by Allison Solano and illustrated by Sean Morgan. The official web site will tell you all about it. Is there no end to the mash-ups? (Probably not.) After last year’s well-received Planet of the Apes and Tarzan crossover comic, BOOM! 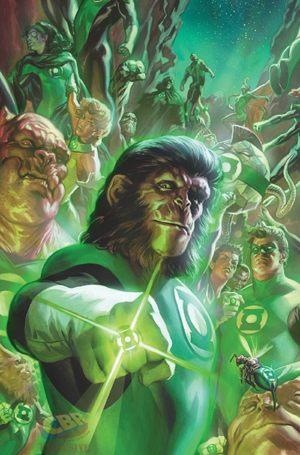 Studios is at it again — teaming up with DC Comics this time to bring us… Planet of the Apes / Green Lantern. Yes. (Pretty straight-forward title, huh?) In this new full-color 6-issue miniseries, Cornelius the chimpanzee scientist investigates a disturbance in the Forbidden Zone… and discovers an ancient ring of power. Then, the rest of the Green Lantern Corps catches solar wind of it… According to the publishers, “BOOM! Studios, DC, and Twentieth Century Fox Consumer Products are excited to bring together two celebrated pop culture properties in a historic comics crossover event when the talking simians of the Planet of the Apes meet the Emerald Crusaders of the Green Lantern Corps. Written by Robbie Thompson (Silk) and Justin Jordan (Green Lantern), and illustrated by Barnaby Bagenda (The Omega Men), Planet of the Apes/Green Lantern debuts February 1st as a 6-issue monthly limited series.” So it’s there for you now! Blastr.com has more. Just a Little Frog… Well, Mostly. How did we miss this one? Alternative Comics bring us the collected Fancy Froglin: Uncensored, an on-line comic by James Kochalka (American Elf). 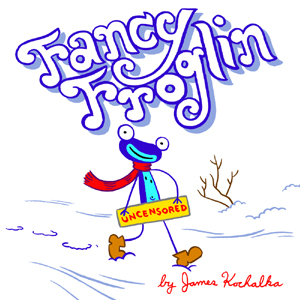 Here’s what they say: “James Kochalka’s complete Fancy Froglin — the lovable story of a very dirty little frog who only sometimes wears pants. Fancy Froglin is an ineffably cute happy little frog… He’s highly sexual yet purely innocent. And he loves bunnies. Most important, he’s really funny.” Do we need to mention here that this comic is decidedly for adults? Their web site has more.